Great landscapes provide instant, memorable appeal. 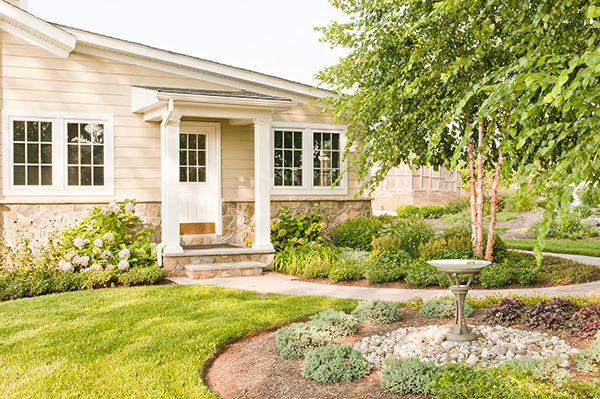 And with good, practical design and solid construction, landscaping can add real, long-term value. The ideas and knowledge you can gain from landscapers is priceless. All you need to do is bring in your existing plans or choose one of several landscape architects we have close relationships with to draw up your design. Our qualified staff can then take care of the total construction of your landscaping project from earthworks and building to planting and irrigation. With our expert knowledge of trees and plants and their behaviour, you can expect first-class landscape construction from us and any contractor we work with. Whether you’re after a New Zealand native garden or a mixture of trees and shrubs, you can have our landscapers consult with you. We have the equipment to move or place a feature rock or create stone pathways. We can help with the choice of a feature tree to best suit your site and requirements. And our planting service will ensure all your trees and shrubs get off to a great start. In short, when it comes to landscaping jobs, you’re in very safe hands. From council parks and streets to backyards, rural properties and complete subdivisions, our professionals can provide landscaping services to suit. Whether your project is a commercial site or a residential home, large or small, contact us now, our Christchurch consultants are ready to work with you. contact us today for expert landscaping services in the Wellington or Canterbury areas.